Bradford has become the first European city to open a film office in Qingdao in China – the country which is home to the world’s fastest growing cinema industry. 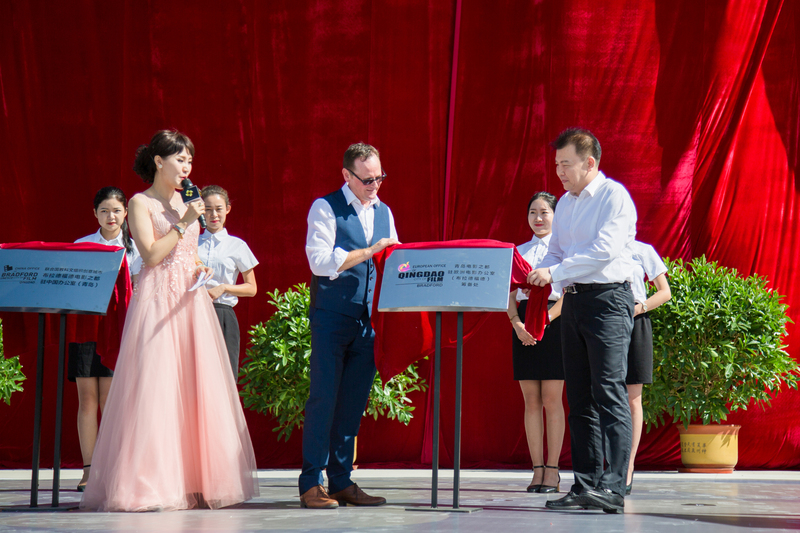 The official opening took place in Qingdao yesterday heralding a new era in the developing relationship between UK and China screen sectors. The Bradford Film Office plaque was unveiled at the opening of the prestigious new Qingdao Film Museum. Bradford UNESCO City of Film director David Wilson, who is leading the project, attended the opening as part of the five day Qingdao Film Trade and Domestic Film Promotion Festival. The high-profile festival attracted 500 delegates, including government officials from State Administration of Radio, Film and Television, Shandong Provincial Government and the Qingdao Municipal Government. International industry experts also attended including heads from 48 cinema chains, major domestic distribution companies, film production companies, as well as film stars, directors, screenwriters and production teams. The Bradford Film Office is based in the west coast area of the city known as Lingshan Bay which is currently attracting a number of film and TV production companies eager to be situated next to China’s largest film production studio complex. In a reciprocal arrangement Qingdao will also open a European China Film Bureau in Bradford in the coming months. As a result of the growing relationship between the two cities Qingdao University of Science and Technology and the University of Bradford are developing a number of collaborations in the areas of science and technology as well as film and TV production. David Wilson, Director of Bradford UNESCO City of Film said: “We’ve been working with Qingdao for some time now and it is wonderful to be back in China to open this facility and meet some of the leading figures in the Chinese film industry. “The establishment of a Bradford Film Office in Qingdao will enable the UK to have a portal to promote UK co-production opportunities, and wider business opportunities with many of those conversations are already underway. The wider Yorkshire region of the UK is at the forefront of film and TV production with latest figures showing that between 2009 and 2015, Yorkshire and Humber’s film & TV industries generated an annual turnover of £424m across 590 creative businesses, an increase of 247% against the UK average of 118%, with Gross Value Added (GVA) increasing 242% in comparison to a UK average growth of 120%. The Bradford Film Office will develop co-production projects between UK and Chinese filmmakers, opening up a range of incentives to accelerate film development. A number of initiatives to promote Sino-British cultural exchange through film are currently in development with the China Film Association, with announcements for 2018 to follow. © 2019 Bradford Film Office. All Rights Reserved.